Robert Daniel Callahan, recently of West Brandywine, Pennsylvania, and formerly of Fayetteville, NY, died at home surrounded by family after a short illness. Born June 12, 1929, in Newburgh, NY, Bob was the youngest of eight children in a family that prided itself on education and service. 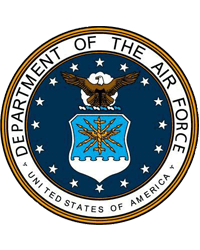 He carried on that tradition by attending Villanova University, graduating from St. Louis Dental School, and serving as a captain in the United States Air Force from 1955-1957. In 1958 he moved to Syracuse, NY, to open an orthodontics practice. There he met Marion Ferguson, who became his bride in 1963. They raised their five children in Fayetteville. In his free time, Bob cultivated his gardens, bonsai, and cacti. More than once he packed cacti as carry-on items on return trips from his vacations. Underneath his quiet demeanor, Bob Callahan had countless layers of raucous joy. He had a quick and wicked sense of humor, as his family, friends, and patients can attest. No one laughed harder at his jokes than he did. His best stories involved his appendicitis as a child, his year hitchhiking across the country, sometimes sleeping in jail cells to save money, working in forest-fire prevention in Wyoming, and persuading Air Force pilots to go on beer runs to Germany when he was stationed in England. Bob is survived by Marion, his wife of 55 years, his sister Jean Reardon, daughters Kathleen Beckman, Cynthia Callahan, Christine Callahan, Karen Lauer, and son, Robert D. Callahan, Jr., eight grandchildren, and his beloved dog, Tekki. A memorial service will be held at 12:30 p.m. on Friday, February 8, in the auditorium at Freedom Village, 35 Freedom Blvd., West Brandywine, PA, followed by a light lunch. Donations in Bob’s memory can be made to the Parkinson’s Foundation at parkinson.org.